The other day I was craving blondies and peanut butter at the same time. 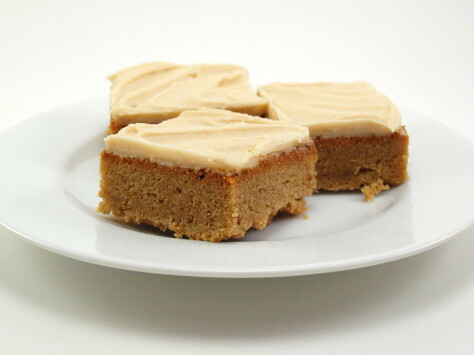 It often happens that I get dual cravings, and in this case it was easy to satisfy both with these incredible tasty blondies. 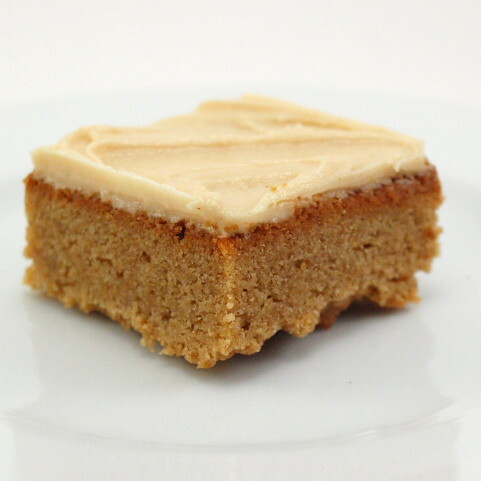 To amp up the peanut butter flavor, and because I like a frosted blondie, I whipped up a very quick peanut butter frosting. 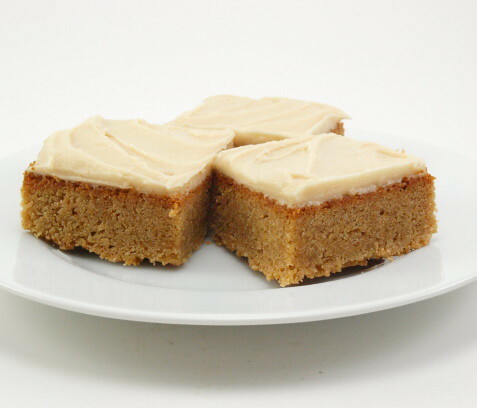 The blondies were nice alone, but with the frosting they are something special and would make a perfect after-school snack or home baked gift. 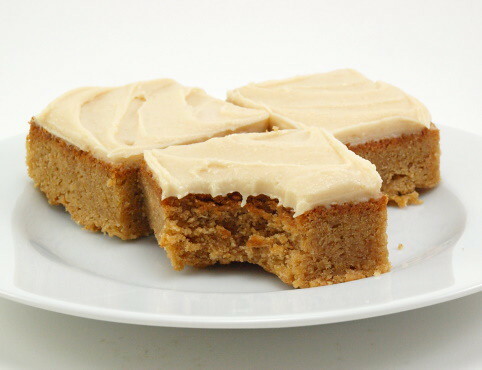 What I like best about these blondies is how the cinnamon plays off the nutty peanut butter. The cinnamon is not overpowering, but instead adds a very nice subtle note that keeps the flavor from falling flat. If you like peanut butter you should give these a whirl. You won’t be sorry! 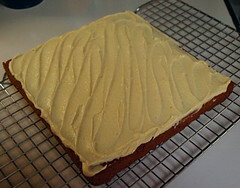 Heat the oven to 350 F and spray an 8×8 square cake pan with non-stick spray. 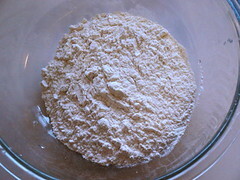 In a small bowl sift together the flour, baking powder, cinnamon, and salt. 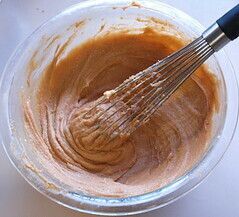 In a large bowl whisk together the butter, brown sugar, peanut butter, and golden syrup. 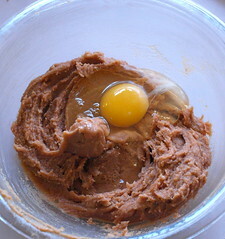 Add the egg and whisk until well combined. 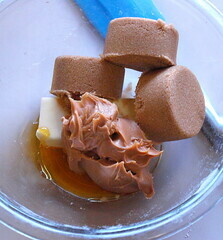 Pour the wet ingredients into the dry and stir until no flour remains. 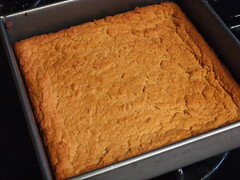 Pour into the prepared pan and spread to the edges. 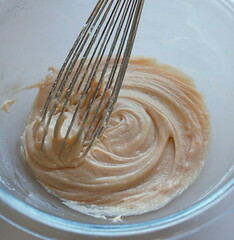 The batter is very thick. Bake for 20-25 minutes, or until golden brown and puffed. Remove from the oven and allow to cool completely. While the blondies cool prepare the frosting. 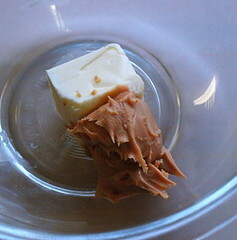 In a small bowl combine the butter and peanut butter until smooth and well blended. 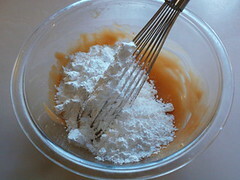 Add the powdered sugar and the milk, one tablespoon at a time as needed, and whisk until smooth. Turn the blondies out of the pan and frost.